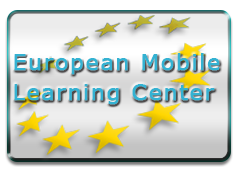 Emporio.net has started an initiative, European Mobile Learning Center, for mobile learning technologies covering a range of use scenarios including e-learning, educational technology and distance education that focus on learning with mobile devices. European Mobile Learning Center gives innovative new directions to mobile learning, creating the next step of what is given till nowadays (i.e. learning across multiple contexts, through social and content interactions, using personal electronic devices) in this area. New tools are created that can overcome all the different national perspectives, the differences between academia and industry, and between the school, higher education and lifelong learning sectors in Europe. European Mobile Learning Center can assist the learner/trainee or the teacher/tutor in accommodating both formal and informal learning using collaborative or individual mobile learning modes.